Biographical Information: Vineyard Music EXTRA! Background information about Brent Helming, Rita Springer, Danny and Penny Meyer, Costa Mitchell, Siluma Maphongwane and Jeremy Cook. Brent Helming has been involved in worship leading and pastoral ministry since 1991. He is currently the worship leader for the Vineyard Inland North County, a new church in San Diego, CA. He also serves on the Association of Vineyard Churches&146; worship task force for the San Diego and Inland Valley districts. Brent has been part of the worship team on 5 out of 6 Acoustic Worship albums, as well as 10 Touching the Fathers Heart albums (24, 25, 27, 29, 30, 31, 32, 33, 35 and 36) and Winds of Worship #6. 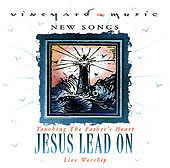 In addition he leads worship on Jesus Lead On (#28) and You Shelter Me (#34), as well as leading worship on Vineyard Cafe #2 (Mercy), Winds of Worship #11 (Live from Australia), Why We Worship: Father and Christmas in the Vineyard. Rita Springer has been a worship leader at the Seattle Vineyard, WA. She has a vision for evangelistic worship and to see worship grow past the musical aspect and move into a true relational life-style with our Lord Jesus Christ. Rita has a desire to encourage and support women, to see their abilities flourish, and to see more women released in leadership. 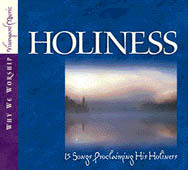 Rita leads worship on Why We Worship: Holiness. She has sung on Touching the Fathers Heart albums (12, 19, 20, 34) and Winds of Worship #6, as well as Why We Worship: Intimacy. She is the lead vocal on I Receive and You Are My God from TFH #20, The River Is Here. Danny Meyer is the associate pastor of the Vineyard in Columbus, Ohio. He was part of the original church plant in the early 1970&146;s that became the Vineyard in 1987. He has been the pastor for the church for over 22 years. Danny directs the peer counselling ministry, as well as the professional Counselling Centre. In addition, he oversees more than 150 small groups that are at the core of the church's pastoral care strategy. He also serves as a district overseer for the Association of Vineyard Churches. Penny was born and raised in a Christian home in Lubbock, Texas and at an early age felt called by God to serve the body of Christ. After graduating from Bible School in the early 1970&146;s, she met and married Danny. She oversees several ministires and is pastor of the women's ministry, which started with one group and has blossomed to over 60 small groups. Danny and Penny have three children, Chelsea, Chris and JT, who are all involved in the young adult and teen minstries. Costa Mitchell and his wife, Lorraine, planted their first church in 1973 in Honeydew, Gauteng and thereafter pastored three other churches before becoming involved with the Vineyard in 1982. Currently, Costa is the senior pastor of the Hillside Vineyard Christian Fellowship, a church he and Lorraine planted in 1996. As well as his pastoral responsibilities, Costa is the National Director of the Association of Vineyard Churches, South Africa as well as the Managing Director of Vineyard Music, South Africa. He has authored two books, A Practical Guide to Intimacy in Marriage and Learn to Love Yourself. Silulama Maphongwane is a worship leader at the Zone Three Vineyard in Pimville, Soweto. He felt God calling him to worship about eight years ago, this was confirmed four years later, when there was a need for a worship leader in Johweto (a fellowship of white people from Northern Johannesburg and Black people from Soweto). He feels it is a privilege to be able to lead people into worship and focus them on God. Kungaba mandi kakhulu ukubona abantu bonke bezinikela kuThixo ngexesha okumdumisa (It would be good to see every person give themselves over to God during worship&148;). For many years Jeremy Cook worked in the secular music industry with EMI and Virgin Records. He rose quickly to the position of European Financial Director for EMI. Jeremy was then called by the Lord to full time ministry and is currently pastor of the Hull Vineyard, along with his wife Elaine. He is also president of the Vineyard Music Group Board of directors and serves on the Association of Vineyard Churches advisory board.